Yesterday, we were invited to the Ricamo's Tea Party exhibition in Al Tilal. I'm a big fan of Ricamo, located in Salhiya Mall, they've got beautiful dishes and home accessories. The exhibition started yesterday and will be ending tommorrow. For those of you not being to make it, you should try visiting the shop in the mall. Everytime I go I have to get something. Yesterday there were lots of gorgeous vases, paintings, and modern huge candle holders. Everything was nearly sold out. My friend bought a few vases that we helped her choose for a special occassion. 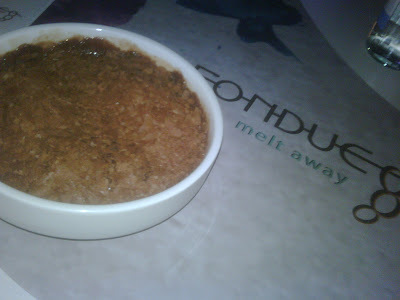 Its been a while since I've been out to eat in a nice place with friends, so I mentioned we should go to Fondue in Salhiya since it was designed by friends and belonged to acquaintances too, so there was no excuse. I loved the design, lighting, and colors used. The food was good too although a bit heavy. They had lots of choices we got lost trying to figure out what we wanted to order. Everything we had was good especially the dessert! 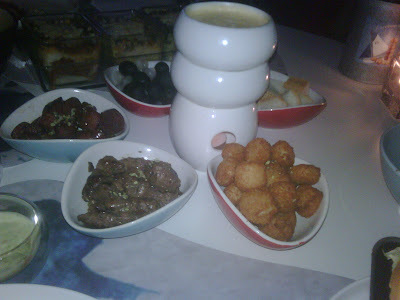 Cheese Fondue with my choosing of meats: beef tenderloin, grilled sausages and chicken poppers. In the background, three lasagnas: meat, mushroom, and spinach. Chocolate Croissant Pudding! (Have crunchies on top and tastes like nutella). I think, as per my friends' recommendations and my own, this is a best seller! 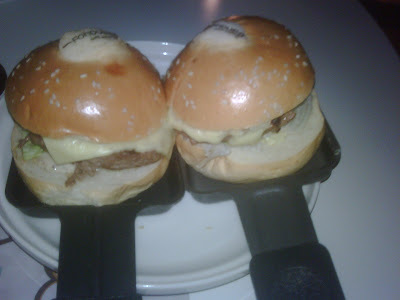 I will definately go again to try some of their other stuff. We ordered a lot, ate so little, took a lot for take away. 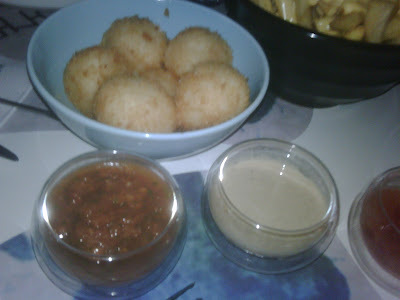 Oh, and has this blog turned into a food blog? :p Not complaining by the way! But scrolling through your older posts made me hungry!! 7aneen allah ybarik feech...awwww ur too sweet!